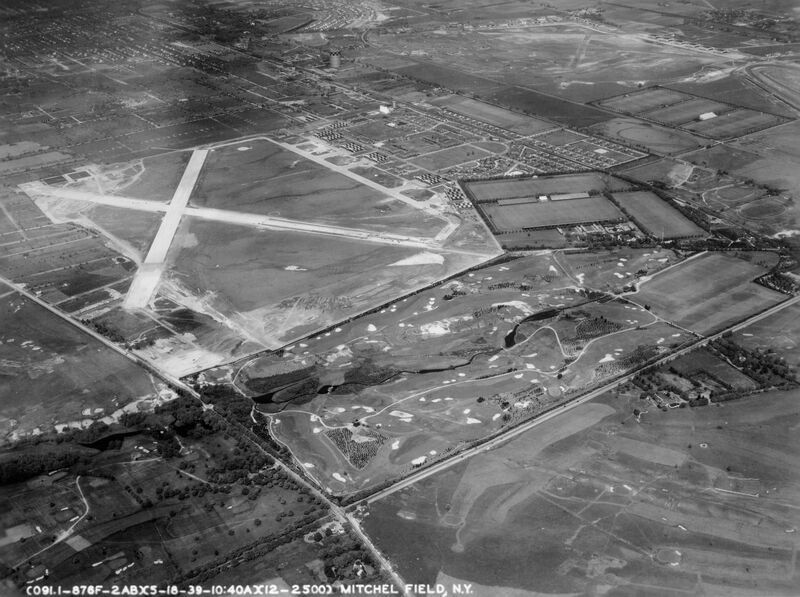 This amazing Long Island aerial taken on May 18, 1939 documented three golf courses, two airports, two polo fields and sections of three Vanderbilt Cup Race courses. 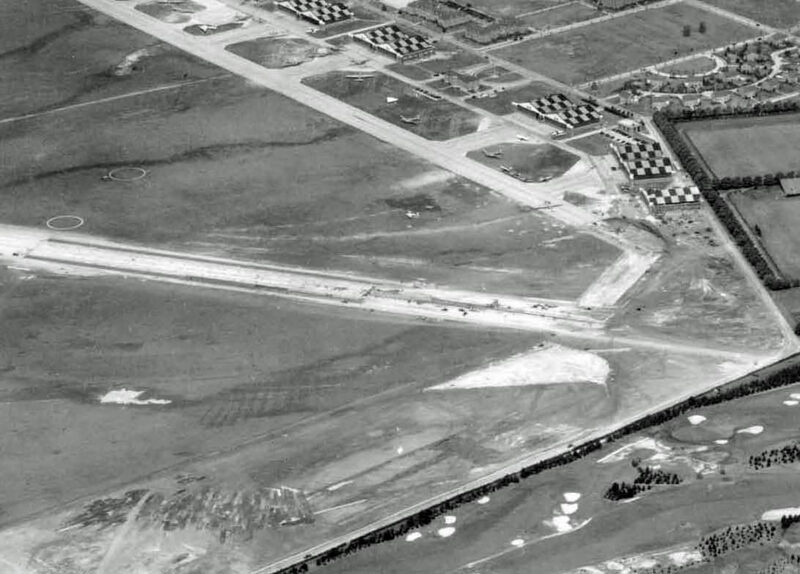 The Salisbury Links in East Meadow can be seen on the right side. 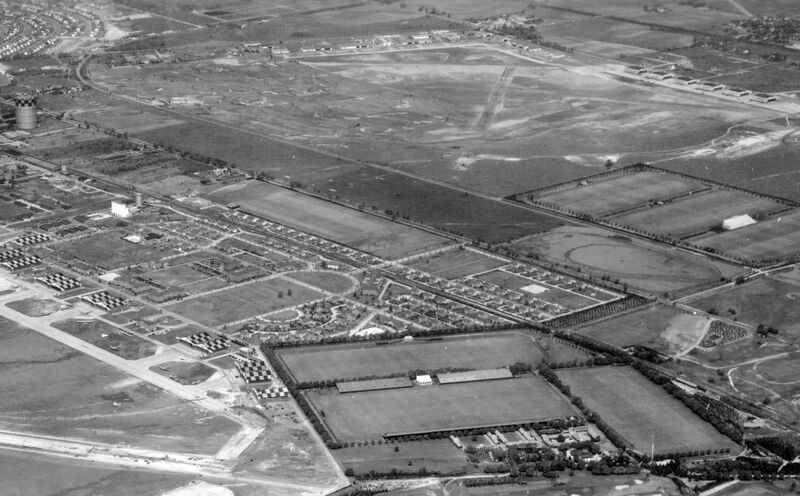 The interesction of Merrick Avenue and Hempstead Turnpike is on the lower left. 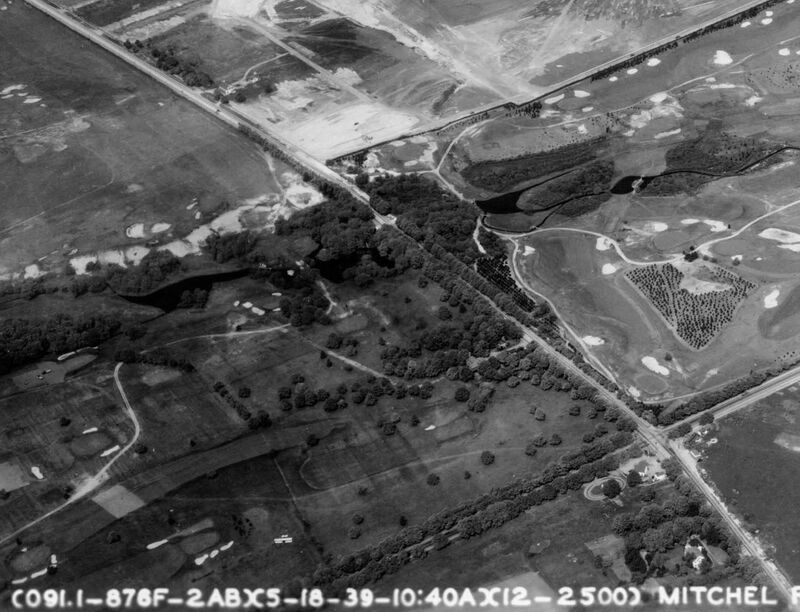 Coldstream Golf Club was located south of Hempstead Turnpike and west of Merrick Avenue in East Meadow. 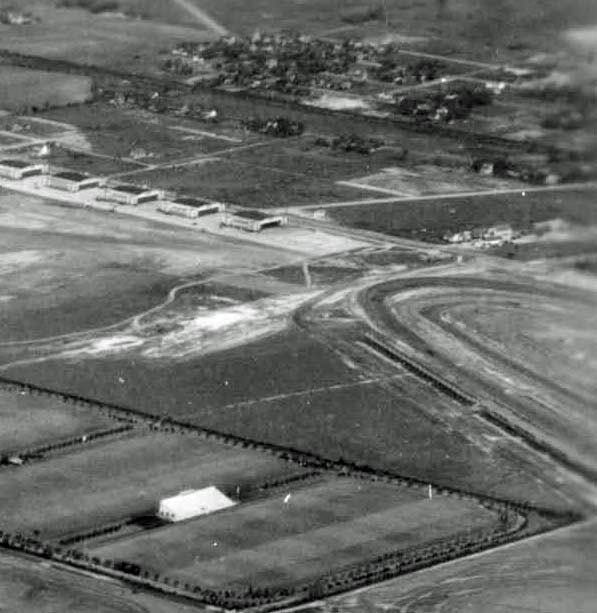 Hempstead Turnpike was part of the 1904 Vanderbilt Cup Race course. 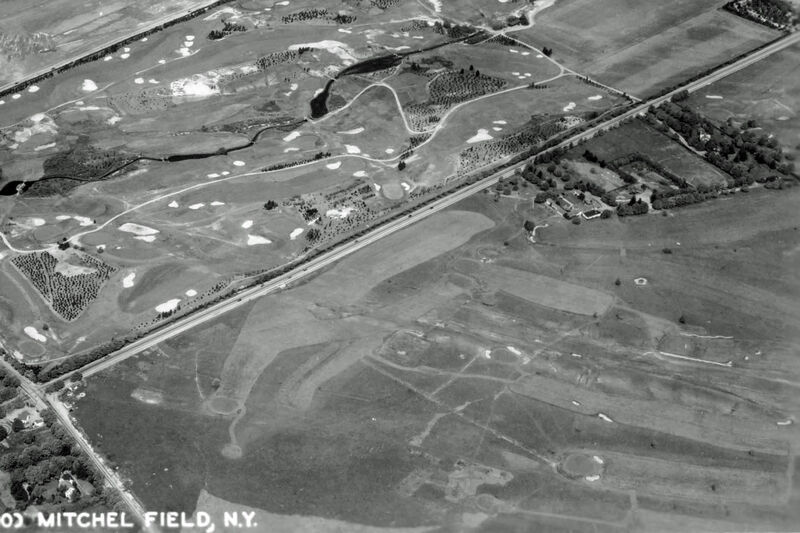 The beautiful links course of the Meadowbrook Golf Club and the Meadowbrook Polo Field. 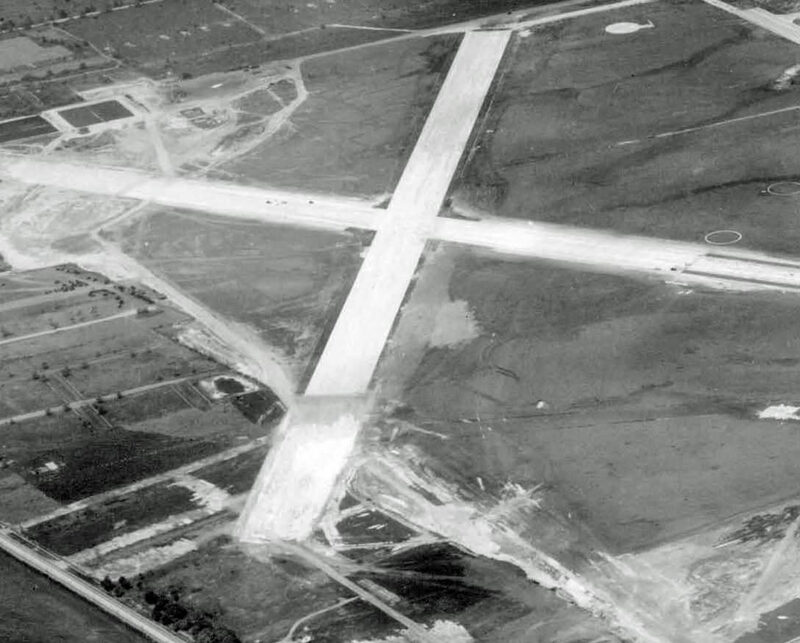 Reflecting the approaching World War, the two concrete runways of Mitchel Field were under construction. 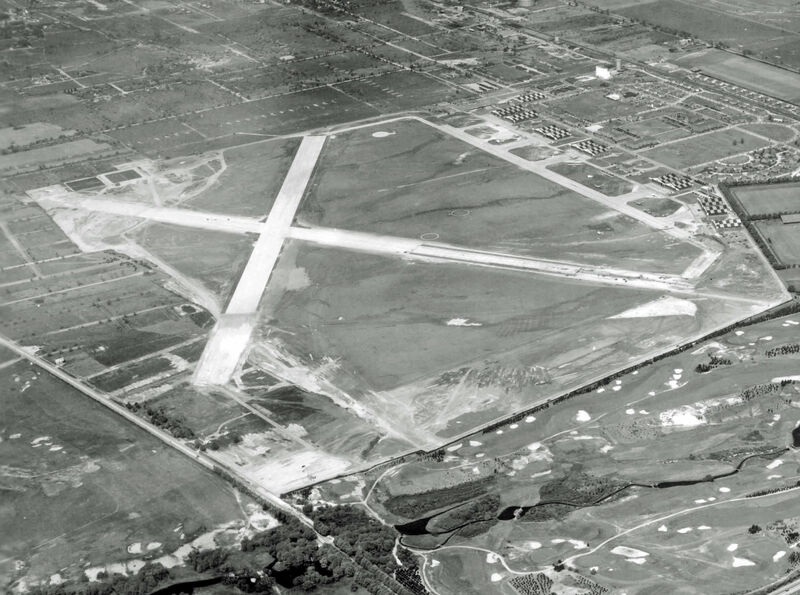 An active Roosevelt Field airport was on the top right. 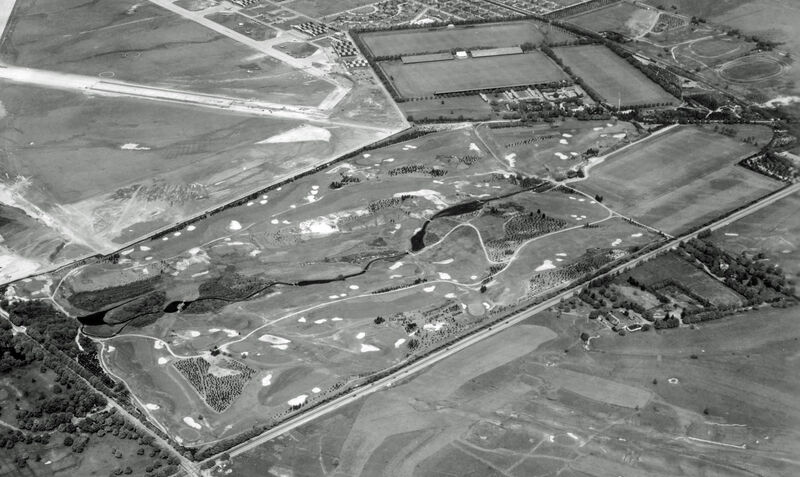 The grandstands and part of the course for Roosevelt Raceway and the 1936 and 1937 Vanderbilt Cup Races can be seen on the far right. In 1939, the track was used for midget racing. When I was a youngster I can remember driving down either Old Country Road or was it Stewart Avenue and seeing garages with flags or signs on them representing the various countries involved in what I guess was the Vanderbuit races. Can anyone find a picture of those garages? I guess I was about ten or twelve at the time. Dan, how old are you? If you are in your 80s, the flags may be linked to the 1936 and 1937 Vanderbilt Cup Races held in nearby Roosevelt Raceway.